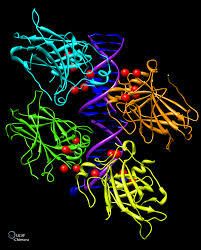 Home » health » CANCER HAPPENS WHEN MUTATION IN THE DNA OF CELLS. when mutation in the DNA signature of cells in humans. The team consider that their research makes a chance of understanding more about cancer and to discover many new diseases. However, cancer happens when their is a change in the DNA of cells. It will cause due to chemicals in tobacco smoke. By smoking, we get lung cancer and also ultraviolet radiation cause skin cancer. Ludmil Alexandrov of the Wellcome Trust Sanger Institute in the UK, found the mutation of cancer in a DNA cells publish in online issue of Nature on August 14th 2013. 1. When their is a two or more DNA signature, it sign up to cause the transformation of cancer. 2. Cancer consists of different number of transmutation process. For eg: Ovarian caner contains two and liver cancer contains six. 3. When their is a 30 type of cancer in that 25 have signature of transformation process according to different ages. 4. DNA-repairing tools linked by changes in BRCA1, concerned in breast cancer, ovarian and pancreatic cancer. The researchers was also found that enzymes known as APOBECs. It is caused due to viral infection which they harm viruses by damaging their DNA. They also found recently that breast cancer results a small regions of the genome are flooded with changes called Kataegis. Kataegis involved in APOBEC enzymes. Although, US researchers discovered that some cancer transformation avoid tumor growth. Mutation in DNA causes cancer in human. 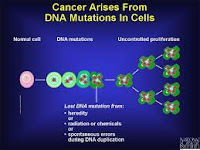 Keywords: cancer causes when mutation in the DNA signature of cells, APOBEC, Kataegis, features about cancer, lung cancer, skin cancer, mutation of cancer, Cancer, DNA- repairing tools.